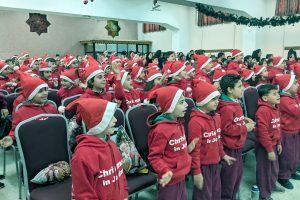 Christmas events for Iraqi and Syrian Christian refugee children began in Jordan In 2013 and expanded to Lebanon in 2014 and Iraq in 2015. 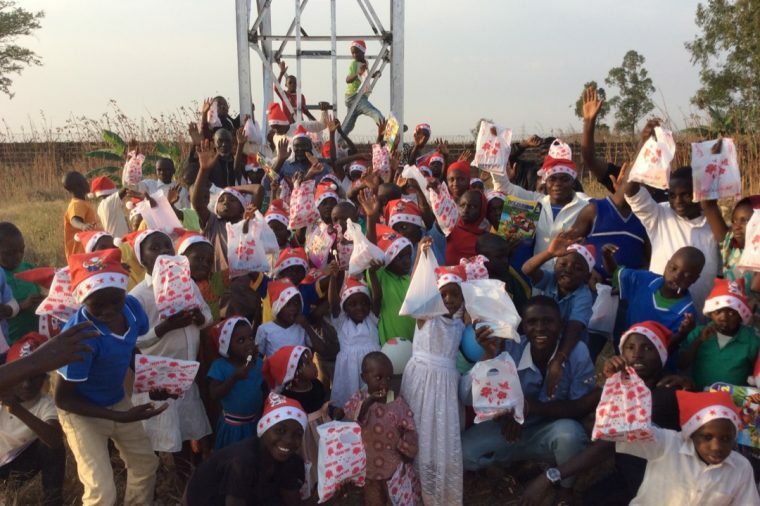 In 2017 the Christmas program was introduced at a Christian orphanage in Nigeria. 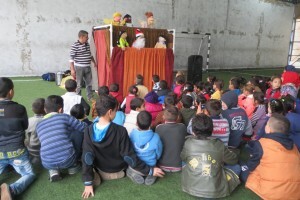 The Christmas programs last several hours and include Gospel themed puppet shows, games, and Christmas carols. 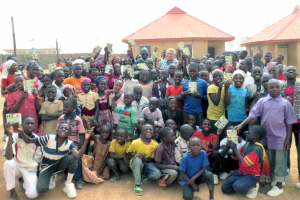 Gospel themed coloring books and work books are distributed to the children who also receive a hot meal. Each child takes home a gift to the family of food staples, hygiene products and/or blankets depending upon region. Hundreds of thousands of Christian families with children have been driven from their homelands in Iraq and Syria by brutal wars. Some of these families are the descendants of men and women led to follow Jesus by his Apostles. 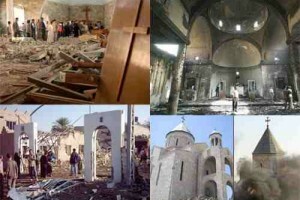 The ancient churches of Iraq and Syria have been looted and destroyed and the families of these congregations forced off the land. Help us reach out to help these frightened and suffering Christians who were driven from their ancient homeland. 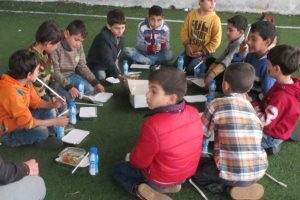 Large Islamic charity organizations, as well as the Islamic governments, are providing relief to Muslim refugee families from Syria. Sadly, Christians are seen by many Islamic charity groups as "kafir" or unclean infidels and they receive no help. We help these Christians! 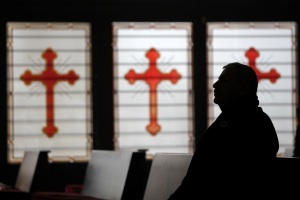 Syrian Christian refugees in Jordan and Lebanon can be counted in the tens of thousands. Once living in middle class homes, they are now homeless. Help us make this one special day, on Christmas, a little brighter for some of the children in the refugee camps. We can't end hunger and fear for all of these children 365 days a year, but we can start by showing God's love on this one special day. 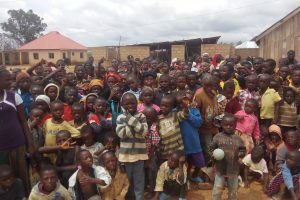 Most of the children were either orphans or internally displaced children who had undergone all kinds of trauma. 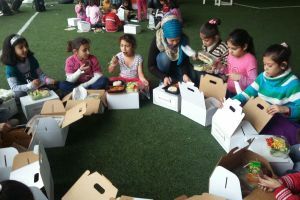 It had been quite some time since these children had access to such a nice, warm and healthy meal. One thing that really stood out from the first event was the very evident joy on the faces of all ages, regardless of the tragedies they had endured. 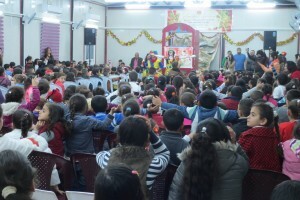 A number of Christmas for Refugees events were held in Jordan this year. 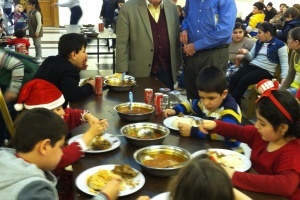 At one of the Christmas parties, every single one of the children present was from Iraq. 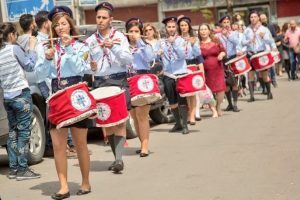 In Qaraqosh the party lasted almost four hours, with different types of entertainment and of course all pointing to the real reason for Christmas, the coming of our Lord Jesus Christ. 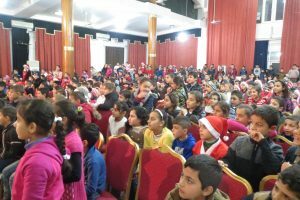 The first Christmas for Refugees Christmas party was held on December 14 in Qaraqosh and had 546 children in attendance. 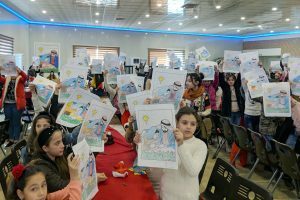 In all, more than 1,500 children attended the three events held this year in Iraq. Every event was centered on Jesus, from coloring contests to puppet shows. 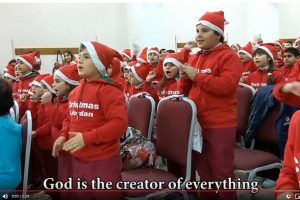 Children dance and sing praises about how “God is the creator of everything” in Marka, Jordan. 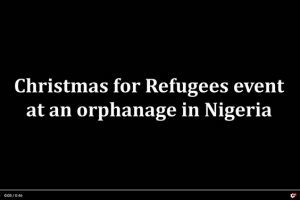 Watch as children from an orphanage in Nigeria sing a “Happy Birthday Jesus” song! WATCH: What is Christmas for Refugees? 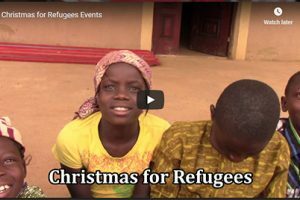 Program director William Murray discusses what Christmas for Refugees looks like in 2018. In all, the Christmas program for 2018 will serve nearly 10,000 children. 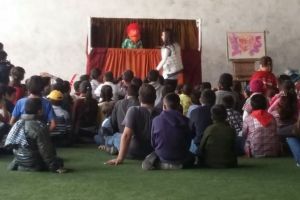 There were four Christmas events for children the first week of December. 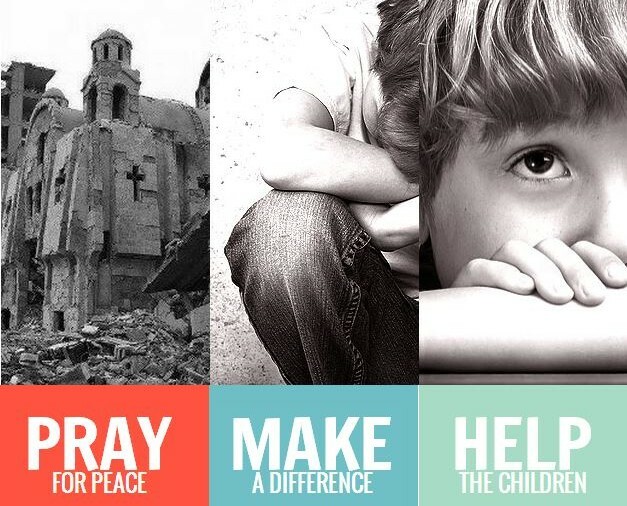 Of those four, two were held by brand new churches founded by Syrian refugees. 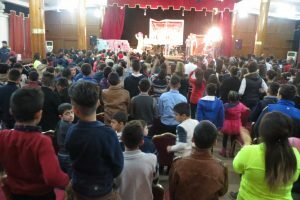 In December of 2017 5,046 families had returned to the liberated Christian village of Qaraqosh, Iraq. There was no poser, no running water, but thanks to Christmas for Refugees the birth of Jesus was celebrated by the children. 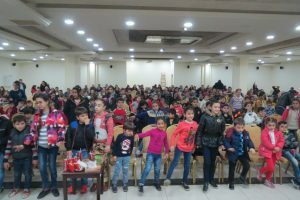 By William J. Murray (Amman Jordan – 12/19/17) Christmas for Refugees events celebrating the birth of Jesus have begun for 2017. Celebrations have already taken place in Nigeria, Lebanon and Iraq. 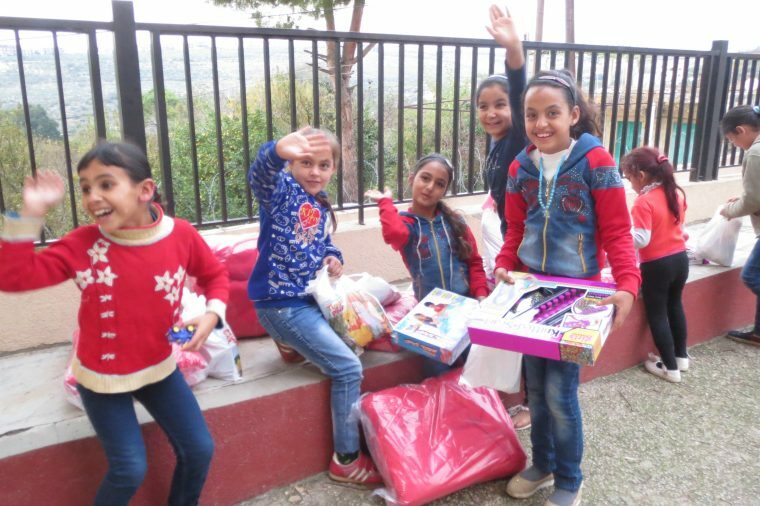 Displaced Christian children have come together to have fun, games, songs and gifts along with programs that center on the true meaning of Christmas…. The Kurds held an “independence vote” to create an independent state. The reaction of the Iraqi government was to shut down airline operations into the Kurdish region including the Erbil airport. 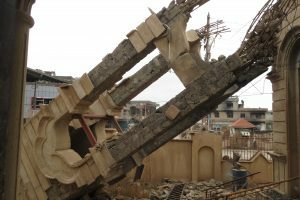 The closure causes great problems for our aid programs in Iraq. 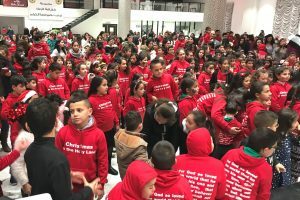 The Religious Freedom Coalition’s Christmas for Refugees program is now in its 2nd year in Iraq and has grown from 600 children to more than 2,000 children participating. New photos and video of events in Iraq are now available. 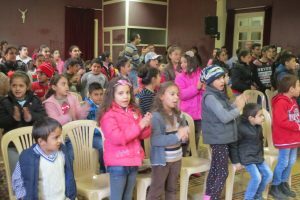 Photos from some of the 2016 Christmas for Refugee parties in Lebanon, Jordan and Iraq held for displaced Christian children have been posted. The size of the events varied from 75 to as many as 525 children and were surprising orderly. Communictions from the Middle East has made real time posting difficult. 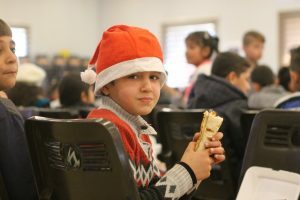 The first Christmas for Refugee events began on the December 12th in Lebanon and will begin in Jordan on December 19th in Jordan and December 20th in Iraq. 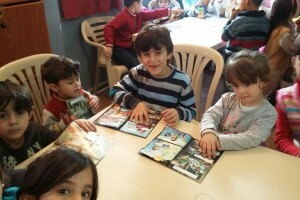 The character of the Christmas parties for the children vary not only from nation to nation, but from region to region. 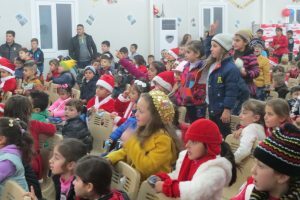 More that 600 children attend Christmas for Refugee events in the Kurdish area of northern Iraq. The Gospel is clearly defined at the same time children are entertained and fed. 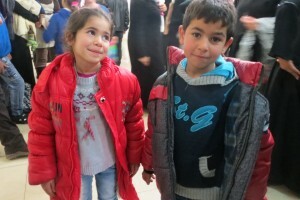 Sadly only 300 of over 2,000 children in one displaced persons center were able to attend because of a lack of space. 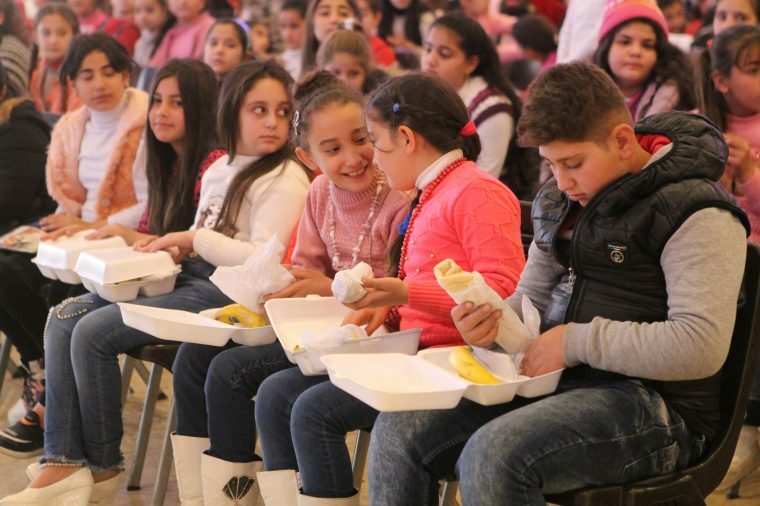 American team monitors Christmas events in Jordan: The Christmas for Refugees program has greatly expanded in 2015 with events in Lebanon, Jordan and Iraq. 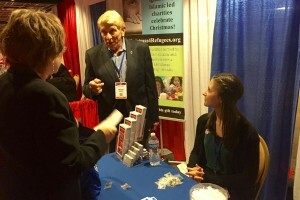 So far the American Christmas for Refugees team has monitored and participated in events in Lebanon and Jordan. 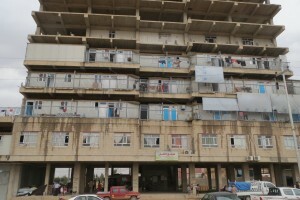 The events in Iraq take place just a few days before Christmas. The smiles of the faces of the children say it all: The first Christmas for Refugees event of 2015 was a hit! 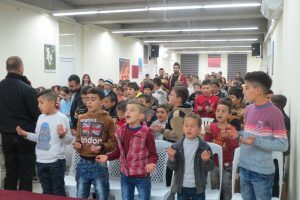 The first event was held in church in Mount Lebanon Governorate north of Beirut. 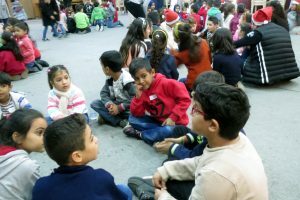 Each of the Christmas events will be attended by 50 to 150 refugee children. 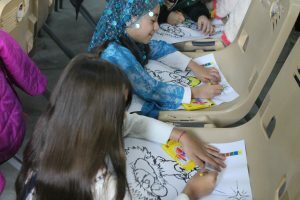 A total of 60 children participated in the first. 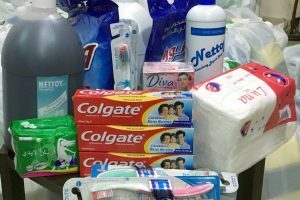 Christmas for Christian Refugees program begins soon! 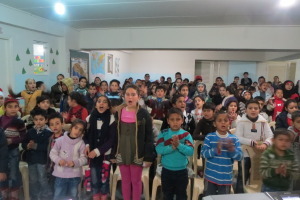 Christmas program for refugee children has room to expand! 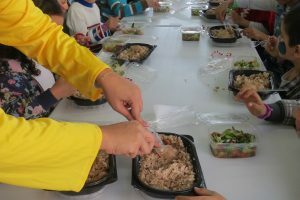 During a September, 2015 mission trip two events with meals and faith building programs were held for refugee children in Iraq. The performance of the local ministry we contracted to conduct the program proved beyond a doubt that they had the ability to move hundreds of people to an event, have a program for them, and return them safely to their homes. 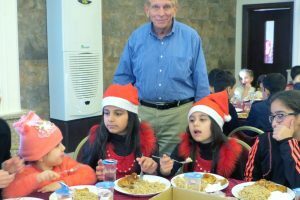 William J. Murray reports from Lebanon on the continued success of the Christmas dinner program for Christian refugee He arrived in Lebanon on the 13th of December as the program was underway and has watched the joy of the children as they were able celebrate Christmas so far from their homes. 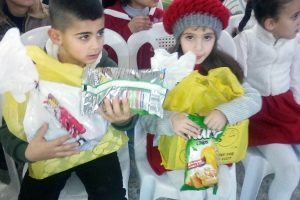 The children sang, play games and had a Christmas meal and their families received voucher for food of their choice at a market. A great big thank you to all of the supporters of the Religious Freedom Coalition who have helped with the Christmas for Refugees program! 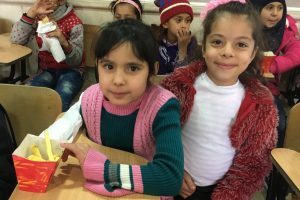 Funds are still needed for the project in Jordan, but sufficient funds for the 1,000 Christmas meals initially planned for Christian children in Lebanon have been received and placed in a dedicated account. 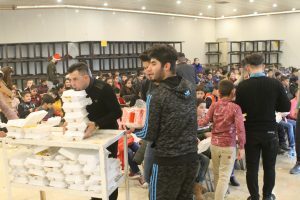 The Christmas for Refugee program was begun to bring spiritual help as well as food and medicine to Christian refugees children and their families. 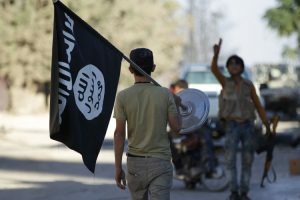 Many of the children have had fathers or older brothers who have been martyred, murdered in cold blood by al-Nusra and Islamic State (ISIL) fighters. In some cases they have been forced to watch their fathers being beheaded or in some cases crucified. The once lived in middle class homes and this Christmas will face starvation.